I say all this because this movie really focuses on the gender stereotypes our society places on people. It’s a coming of age story about a young boy whose father pushes him into boxing, only for the boy to get tired of sucking at it and, through a bit of serendipity, discovers that what he truly enjoys in life isn’t the aggressive combat sport he’s been forced into, but rather ballet – that delicate, effeminate dance style that pretty much everyone associates with pink tutus. In the supporting characters, you have his best friend, Michael – who’s suffering a bit of his own identity crisis in that, while he may not share Billy’s interest in ballet, he’s struggling to come to terms with his attraction towards Billy – and Billy’s father and brother, who would be working in the coal mines of England if not for the seemingly endless strike their union has been on. Both his father and brother are immensely manly figures in Billy’s life, and, with his mother deceased, you’d think that Billy, who shares their often violent short temper, would have since picked up on their manly interests, too. Billy’s new passion for dance, however, is nurtured by a surrogate mother figure, Sandra Wilkinson, a tough, chain-smoking ballet instructor who sees in Billy immense potential and agrees to teach him in secret, so as to not out Billy to the rest of the world – namely to his father and brother, who accuse Billy of being a “puff” the first time he’s found out – not knowing about his flirtatious relationship with Debbie, his instructor’s uninhibited and extremely inquisitive daughter. 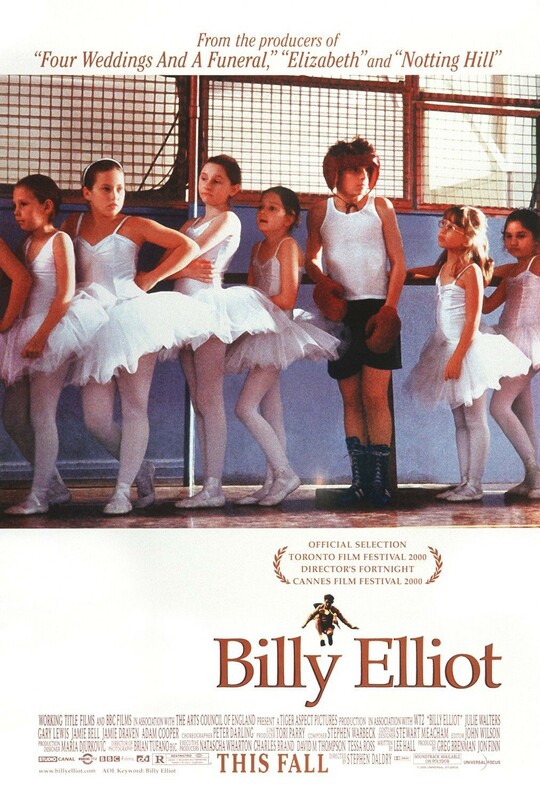 Billy Elliot – which, by the way, is not a musical film but employs a strong soundtrack nonetheless and would go on to inspire the stage musical of the same name – was quite a hit when it first released, and I remember vaguely the amount of press it generated upon release, too. I wasn’t that old at the time, no more than 14, and, while I had little to no interest in ballet or any other form of dance, I distinctly remember thinking that I might identify, at least somewhat, with the main character. I was already really into writing at the time, collecting binders full of short stories and synopses for video games I one day hoped to develop. I’d been told by my own father, however, not to share those things with people because… well, I really don’t understand fully why he discouraged me from sharing something as innocuous as my sci-fi and fantasy stories apart from the fact that it took attention away from him, perhaps, or maybe he was just embarrassed by his nerdy son who wasn’t exactly girl crazy nor as aggressive as he was. Whatever the case, I really wanted to see the film, but that day wouldn’t come until several years later, after college and after a prolonged and nasty divorce, when I first got my Netflix account and later found it in the streaming library. What I found in Billy Elliot was something rather inspiring, even if it came a bit later in my life than I probably would have liked. 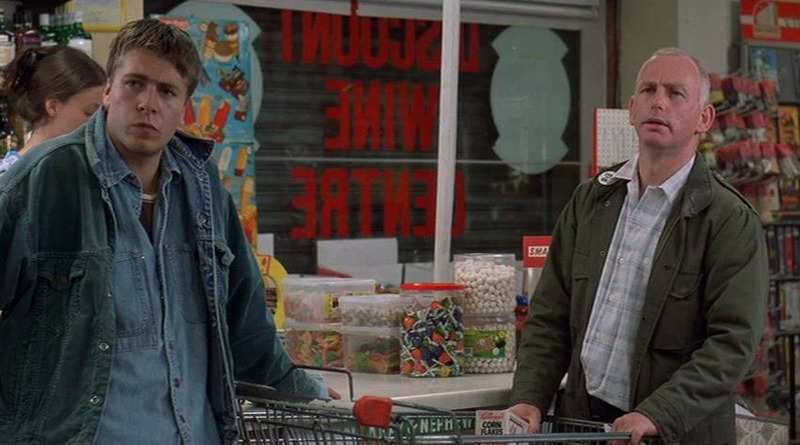 I still identified with the main character and, regrettably, also found myself wishing I had had his courage to pursue my passions more aggressively as a kid, to stand up to my dad the way Billy eventually did rather than continue to mostly hide it away. It was probably naïve of me to expect that same sort of recognition from my own father, but still, to a kid who feels like he’s the only one suffering through these things, affirmation could not have come soon enough. Even so, the film remains inspirational, even if you’ve reached your adult years. Most of all, however, the film is also immensely entertaining and excellently performed. Gary Lewis and Julie Walters each turn in fantastic, often moving performances as Billy’s father and teacher, respectively, and the rest of the cast is also great, including Jamie Draven and Nicola Blackwell, but it’s Jamie Bell’s stellar debut performance as Billy that carries the film and makes it as incredible as it is. Jamie balances out Billy’s gentleness with a furious passion, and his dancing, while not technically perfect in itself, is enthusiastic and suits Billy’s growing abilities, reflecting his potential. He works well with the rest of the cast, particularly when he’s interacting with Walters, but, thanks in part to the strong script, Billy isn’t painted as any sort of angelic or delicate figure, either. There’s a brilliant scene in the middle of the film where Billy’s frustration and anger is taken out on the neighborhood and its residents in a sort of punk rock tap dance, set to the song “A Town Called Malice” by The Jam, that really makes a case for why film, as a medium, is so awesome. Billy Elliot holds up as an example of inspirational filmmaking that doesn’t feel cheapened upon repeat viewings or with the passage of time. The film seemingly came at a time when attitudes about gender roles and perceptions were finally beginning to evolve, and while it may seem odd to compare my own life to the film, especially now that I’m nearly 27 as I write this, it’s good to know that films like this are out there to perhaps inspire future generations to pursue their own God-given passions and talents, no matter what sort of misguided identity we’ve assigned those roles as a society. It doesn’t even have to be gender-based, either. It’s for anyone who has been told what their place and role is in this world, even if they know better. 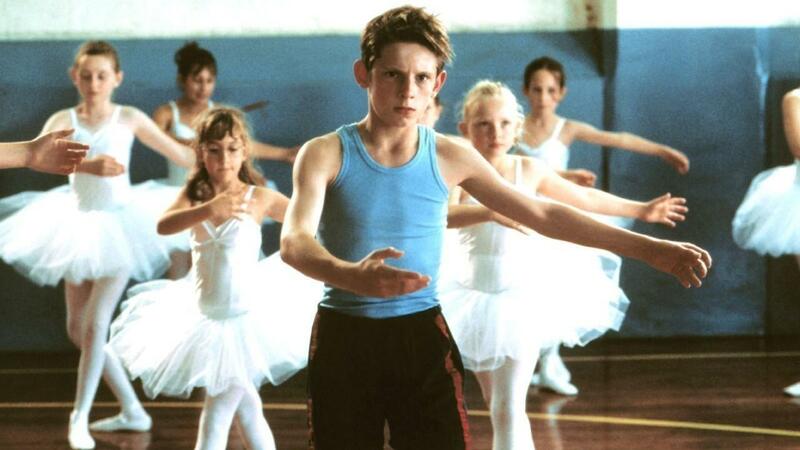 It’s a bit trite and oversimplified to tell someone “Be yourself,” which Billy Elliot encourages, yes, but the film is even more about knowing and pursuing your calling, more than anything, which is something much deeper than mere self-centeredness. This is such a fantastic film. I first watched it many years ago and fell in love with it. One of my favourites! Great review. Thank you! It really is a fantastic film, and I’ve been pushing it hard on my friend who’s been very interested in dance, too. Not that there’s any stigma against his own style of dance, but, still — it’s one of those recent classics that I think everyone should see.